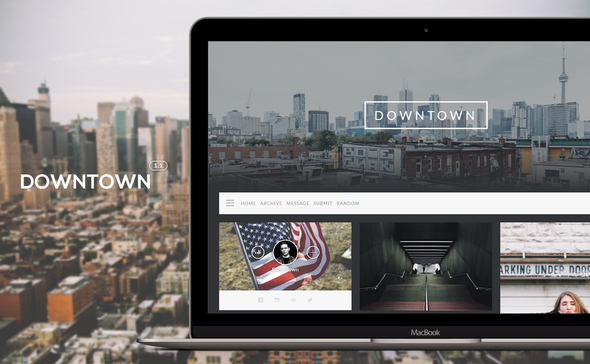 Downtown is an minimal easy to use responsive tumblr theme. Minimal and neat design focus user’s attention on your content. Made for people who loves clean design. Great solution for photographers, designers and bloggers. You can every font from Google Fonts for body text and menu text. You can use Flickr, Twitter, Facebook or Dribbble feed. You can add to your blog possibility to comment your posts. Your own html widgets in sidebar. Menu is displaying only when you need it. If you have got any problems with theme or you just want to know more about theme contact with me: themesbyfoost@yahoo.com Send me an email and I will answer you as soon as possible.